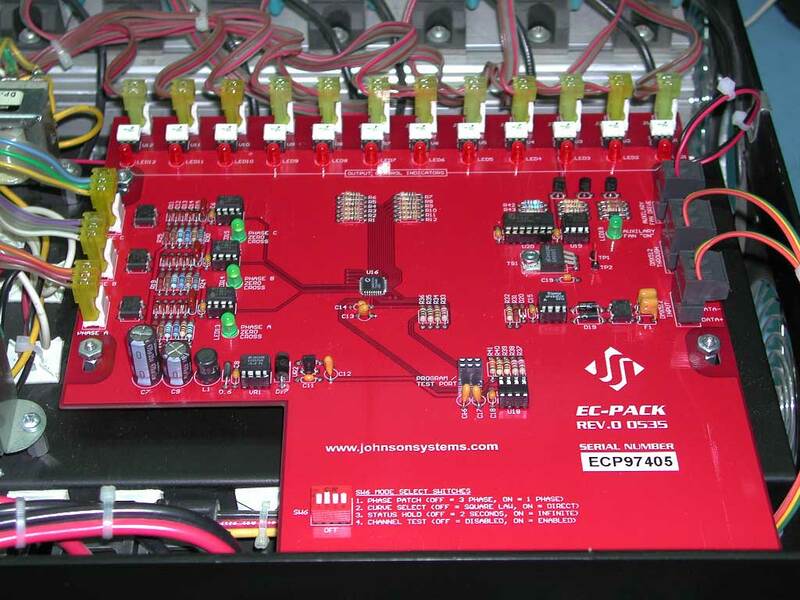 The JS-EC12P is a direct DMX 512 retrofit controller specifically designed for facilities with an existing Electro Controls (EC) Portable Playmate dimmer packs. This product will upgrade existing dimmer packs to current dimming technology in minutes. The EC12P is pin to pin compatible with O.E.M. factory wiring for ease of installation. 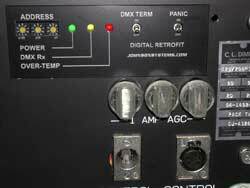 DMX input and state-of-the-art high speed processing make upgrading these ruggedly built "work-horse" dimmer packs fast, simple and inexpensive! Direct "plug-in" retrofit compatible with OEM dimmer pack wiring. DMX addressing and configuration accessible via the original face panel. New "self-adhesive" face panel overlay provides accurate upgraded information. DMX input XLR connectors (IN and THRU) pre-wired to "break-away style" connectors permit fast and easy installation. Hi-speed processor ensures accurate dimmer output levels and smooth fades. 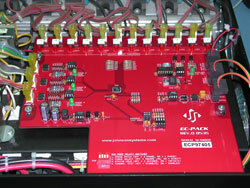 LED Status indication of power, data receive and over-temp. 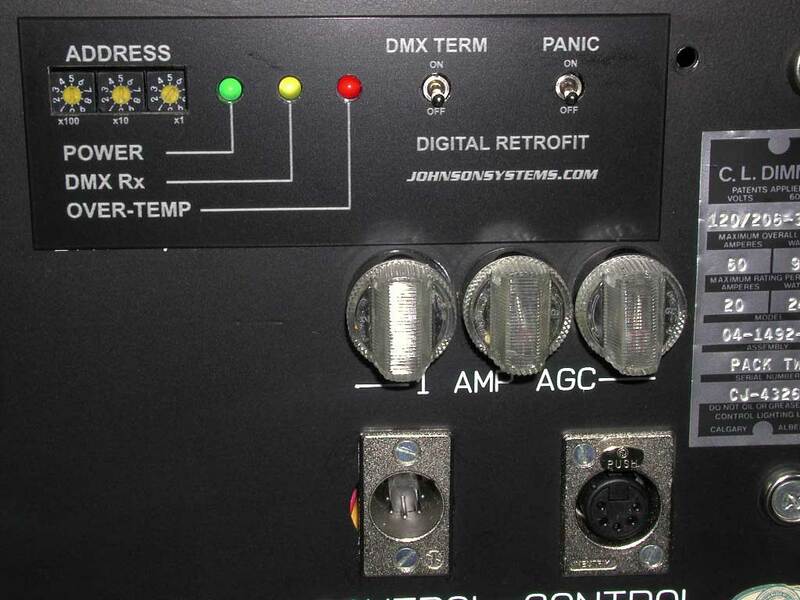 Face panel "DMX Termination" and "Panic" switches.